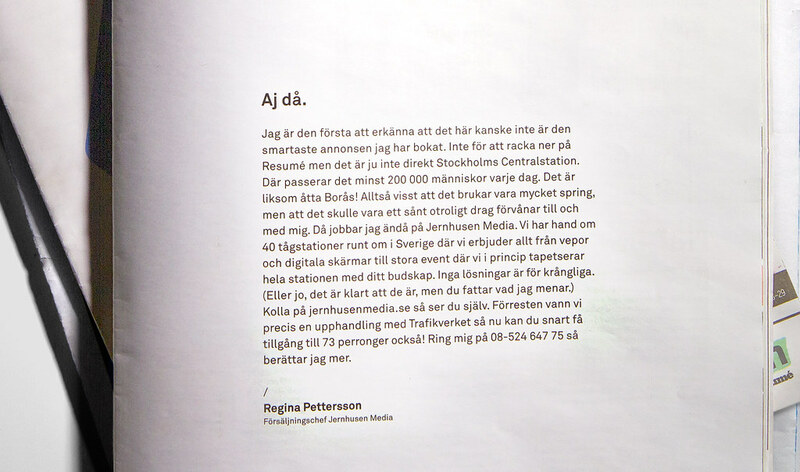 Jernhusen media is the company that deals with the endless amount of attractive advertising opportunities and space along the swedish railway system, primarily on the stations. 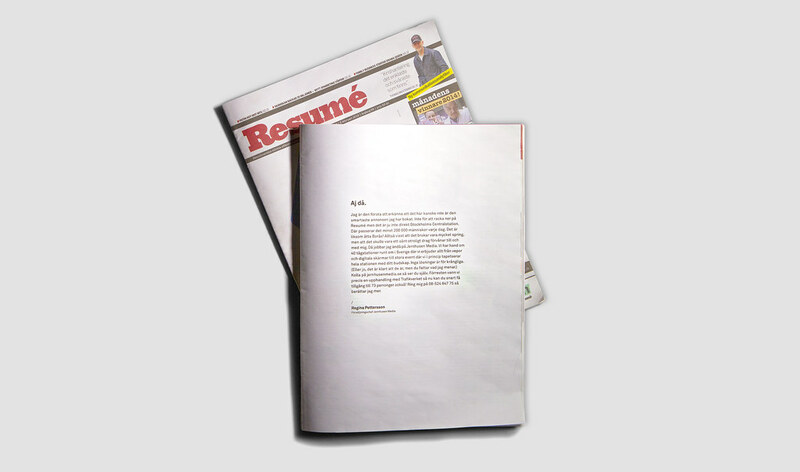 Time after time they have proved to be effective in targeting both narrow and broad audiences with messages. 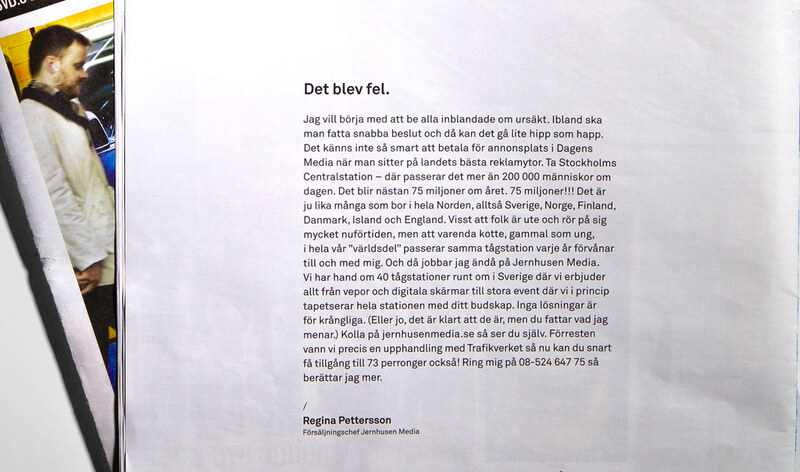 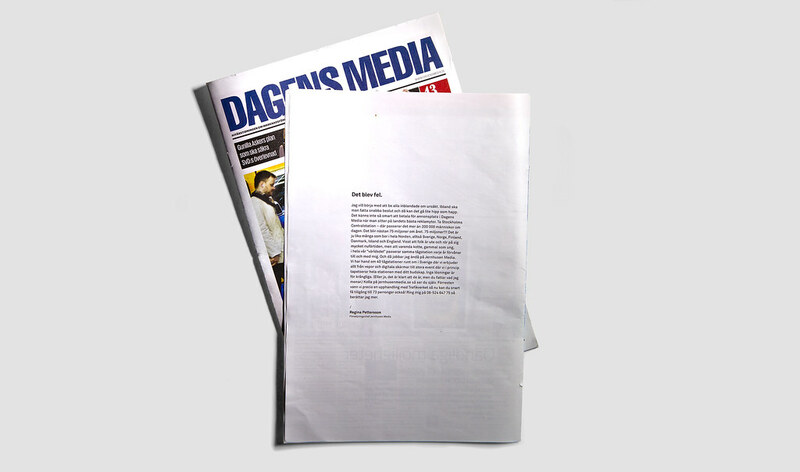 To highlight this, advertising space was bought in both Resumé and Dagens Media, two swedish newspapers with a deep penetration among communication and media-oriented readers, only to recognize the contradictory in this action.